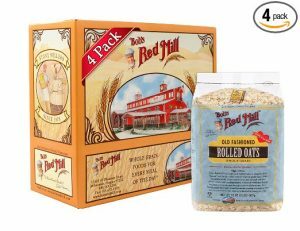 On Amazon right now you can get Bob’s Red Mill Old Fashioned Regular Rolled Oats, 32 Ounce (Pack of 4) for just $11.76! This works out to just $2.94 per large bag! This is our favorite brand of oatmeal.